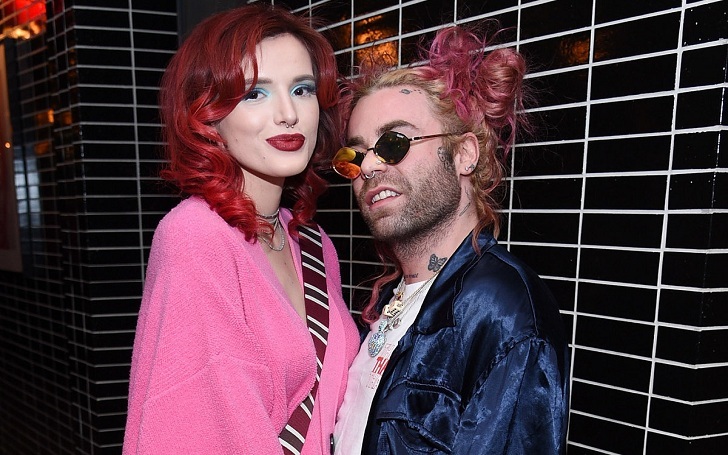 American actress Bella Throne is no more together with Mod Sun. The actress announced her split from the rapper in an Instagram post. The couple reportedly dated for over a year before calling it quits, and it came out as unexpected news for a lot of their fan. Well, the actress wrote a beautiful caption as she announced her split on her Instagram. Well, the couple did not reveal the reason behind their split but they seem pretty carefree despite the separation. In fact, Mod is already busy promoting his products on his Instagram, his new shoe and candy line. Further, he has also announced his concert in Denver. Similarly, Bella is also going easy with life and attended the Flaunt party at Coachella 2019 on Saturday in a pair of shorts and a bedazzled black bra. While the actress had fun onstage with rapper Rich the Kid, Mod did not show up. The two were in a relationship for over a year.